Officials in La Libertad, Peru are carrying out a fumigation campaign in the District Municipality of Chocope, Ascope province after the presence of the agent of plague, Yersinia pestis, was confirmed in fleas found on sewer rodents, according to a El Comercio report (computer translated). Soon the proventriculus, or esophagogastric junction will become blocked with a bacterial mass preventing the flea from swallowing food. In addition, the National Institute of Health (INS) issued a report in which it states that in a sample extracted in the sector known as Panamericana Norte, in Chocope, “18% of fleas in sewer rodents are infected with the bacteria”. Given this situation, the district mayor, Rolando Luján, met with the head of the local health center and other competent authorities to take measures to prevent the epidemic outbreak of bubonic plague in Chocope, a district considered endemic area for plague. The authorities decided to develop, this Friday and Saturday, a fumigation campaign in 160 homes located in the Panamericana Norte sector. The fumigation will be in charge of qualified personnel of the Ministry of Health (Minsa) and will run from 8 a.m. until 5 pm. We ask for the cooperation of the families and owners so that they allow the fumigators to enter their buildings and we can avoid the resurgence of the disease, whose last case was presented some two years ago, “said the mayor. Lujan also explained why killing the rats was not the answer–“What is infected is the flea, not the rodent. If we kill the rodent the flea will jump and possibly infect other animals”. Plague is an infectious disease caused by the bacterium, Yersinia pestis. It is found in animals throughout the world, most commonly rats but other rodents like ground squirrels, prairie dogs, chipmunks, rabbits and voles. 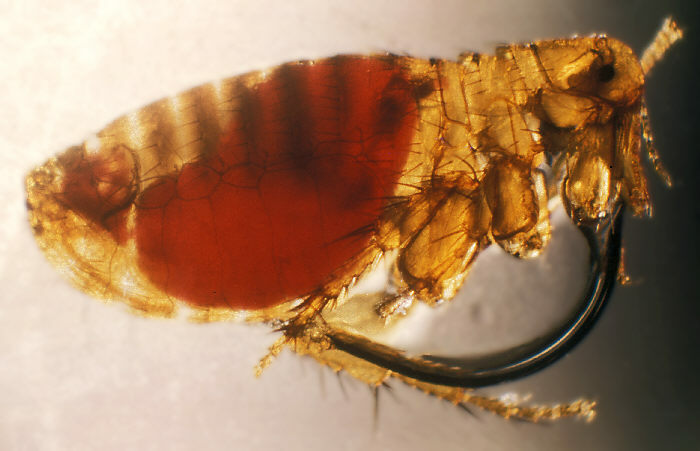 Fleas typically serve as the vector of plague. Human cases have been linked to the domestic cats and dogs that brought infected fleas into the house. There are three forms of human plague; bubonic, septicemic and pneumonic.